In this blog series, we have been discussing the CMS levels of appeal for denied claims. In previous blogs, we have reviewed the difference between a rejected claim and a denied claim, the five appeal levels and the technical requirements for those levels, and the first step in the appeals process—otherwise known as Redetermination. This week's blog will focus on the second appeal step known as Reconsideration. If your initial appeal was not successful, don’t be discouraged. At each successive level, a different entity reviews the case. The first level, Redetermination, is reviewed by the Medicare Administrative Contractor (MAC). The second level, Reconsideration, is reviewed by a Qualified Independent Contractor (QIC). There is no guarantee that your claim will be approved as you persevere through the appeals process, but some say the odds of success improve the further you pursue your right to appeal. This data does not exactly demonstrate the on-the-street theory that the odds of success improve (at least at this level). However, this may be related to the skill set of the appellant (the individual filing the appeal) and what is submitted for review. First and foremost, the timeline needs to be followed exactly. The appellant has 180 days from the date of receipt of the redetermination decision to file a reconsideration request. A reconsideration must be requested in writing. Instructions for filing a reconsideration request are on the Medicare Redetermination Notice (MRN) or on the website of the MAC. The request should clearly explain why the appellant disagrees with the redetermination. There is no minimum monetary threshold required to submit a reconsideration. It is not necessary to resubmit information that was already submitted to the MAC; however, the documentation needs to be complete and paint the picture of the case under reconsideration. Keep in mind, any documentation that is not submitted at the reconsideration level may be excluded from consideration at subsequent levels of appeal unless good cause is shown for not previously submitting the documentation. This is important, because this is the last opportunity to add new information in case the claim receives an unfavorable disposition at the Reconsideration level and the appellant wants to pursue the appeal at the next level, the Administrative Law Judge. This is where the expertise of the preparer is important, which we will discuss in the next section. To prepare the packet of medical records to support the claim, the preparer must review all information and determine if any additional documentation is required to support the reasonable and necessary and skilled requirements for the claim. Emphasis should be on interviewing therapists regarding aspects of the documentation that might not be clear. Skilled preparers know how to focus on the medical necessity of the care provided and include cutting edge research to support and highlight the documentation. Many times, the therapist has not included a focus on the complexity of the patient and the need for skilled intervention to support the care delivery based on the complexities and comorbidities. If the Reconsideration decision is unfavorable, the appellant can continue with the appeals process to the third level, which is the Administrative Law Judge (ALJ). This will be discussed in our next blog. Have you received a denial and are not sure whether you have the skill set to prepare a comprehensive Reconsideration packet to support the reasonable and necessary and skilled care you believe was performed? LW Consulting, Inc. can help. Our auditors have tried and true experience in writing appeal and denial letters at all levels of appeal. 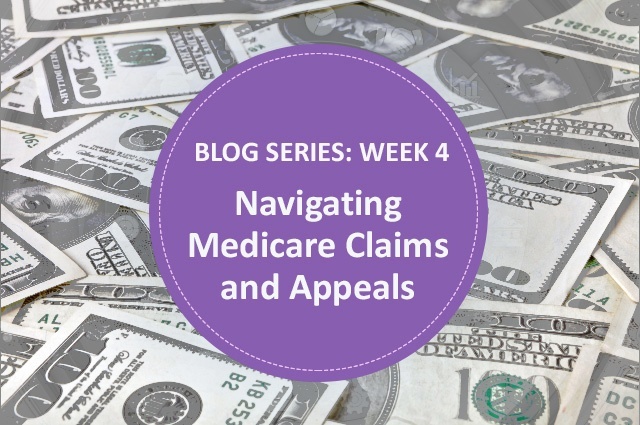 Subscribe to the blog to receive updates on our 5-week series, “Navigating Medicare Claims and Appeals” and other healthcare news.